There’s nothing more amazing than a physical reminder within your home that allows your guests to reflect on the blessings that they have around them. 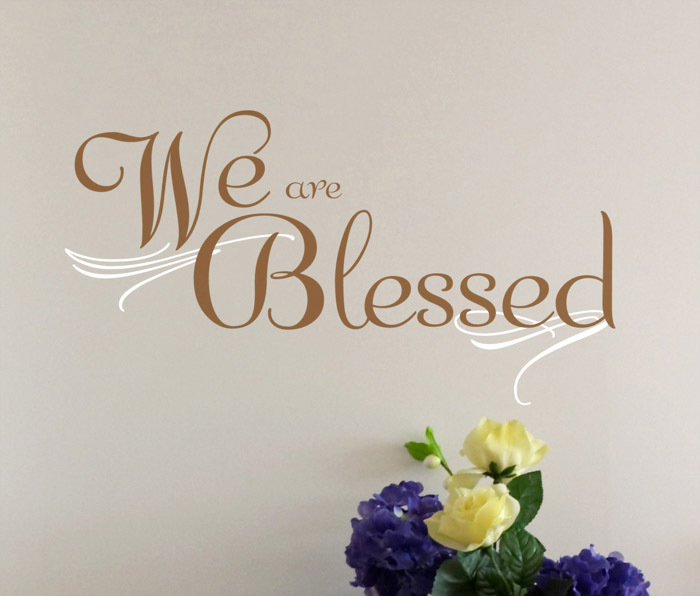 The wall quote, “We Are Blessed” is short, simple and sweet, but provides an enormous amount of love, compassion and warmth throughout your home and within the hearts of those who enter. Who ever knew that three basic words on your wall could reveal such a deep message, right? 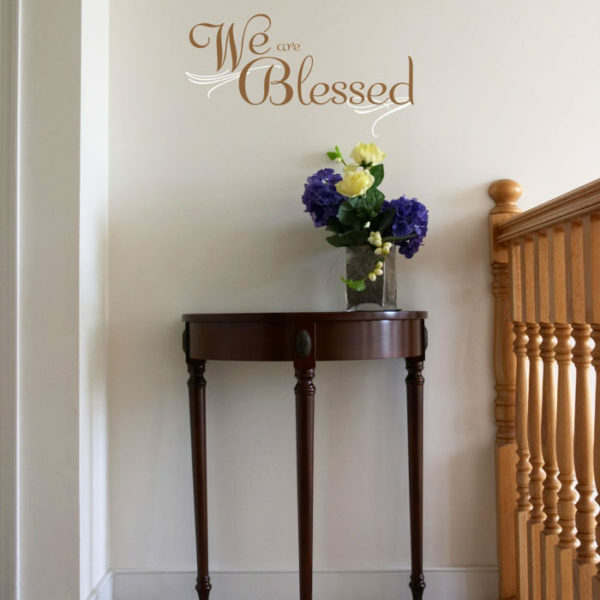 That’s exactly why this wall lettering is absolutely perfect for every home. It doesn’t matter the size of your home, or the shape, this wall decal is petite enough to give any space, big or small, a touch of love. What makes this wall lettering fabulous and versatile is the words in the wall quote itself! You can place it to different areas of your home. 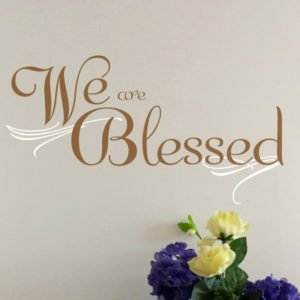 For example, you can place this wall decal in your living room, where your friends and family gather, or in the front entrance as a subtle kind welcome. 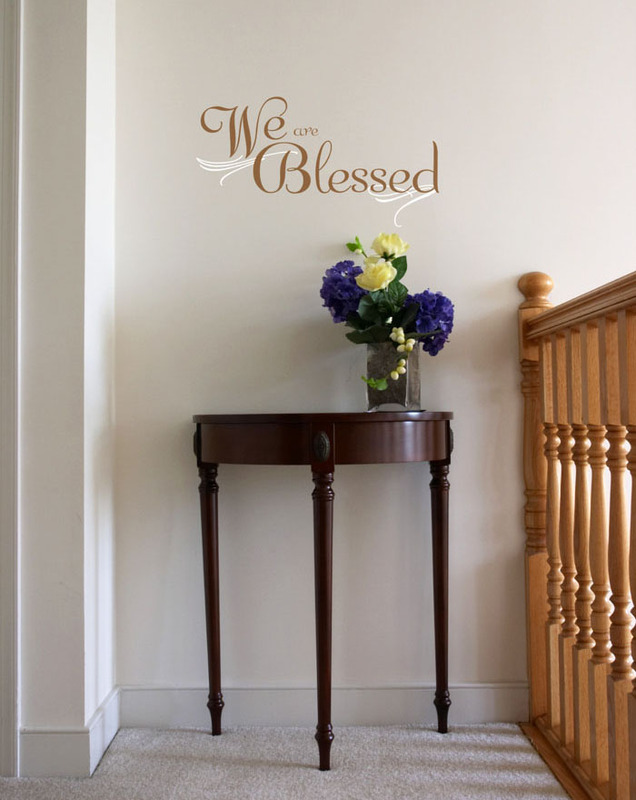 You can place this wall lettering set in the hallway to the bedrooms amidst family photos, or place it in the kitchen, reminding your guests of how fabulous you are! No matter what your house looks like, regardless of it’s size, shape or colour, this wall quote is absolutely essential when sending your guests and home the love and warmth that is inside your family.